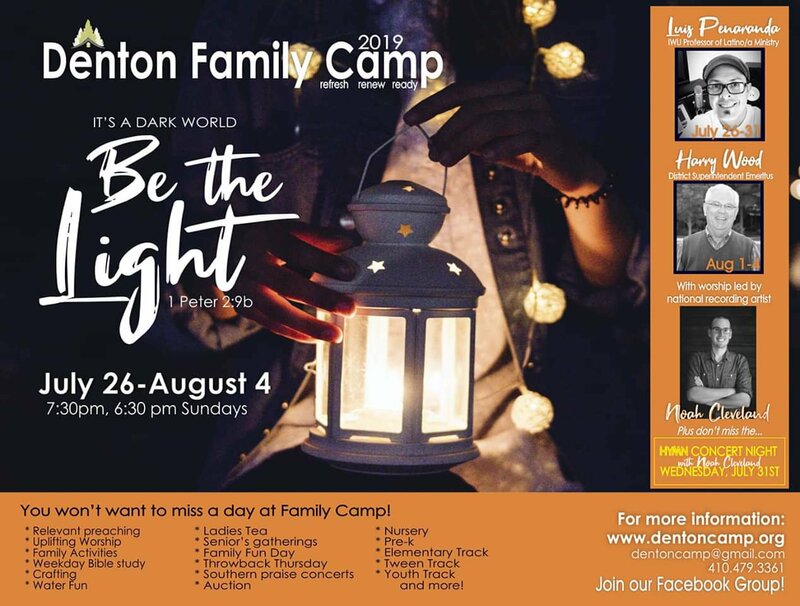 "Be The Light" at Denton Family Camp, July 26-August 4 2019. 2018. Guest speakers include Assistant Professor of Latino/Latina Christian Ministry at Indiana Wesleyan University, Luis Penaranda and District Superintendent Emeritus, Reverend Harry Wood. Worship will be lead by Noah Cleveland. Click here for more information or to register online.